In the Eastern Mediterranean, the age of the Diadochi (Alexander's Successors) has passed. It is now the age of the Epigoni (the offspring of the Diadochi). The year is 280 B.C. and Pyrrhus of Epirus is about to invade Italy and start a war with Rome, and anyone else near him. Let us not forget that Rome was in peril. Hannibal supposedly listed Pyrrhus as the second greatest general right after Alexander. The stage is set for you to become the next great conqueror of the Ancient World. Most of the states you can play are still young and vigorous. Of course, it is up to you to make sure they keep their vigor, and do not go long in the tooth or worse. 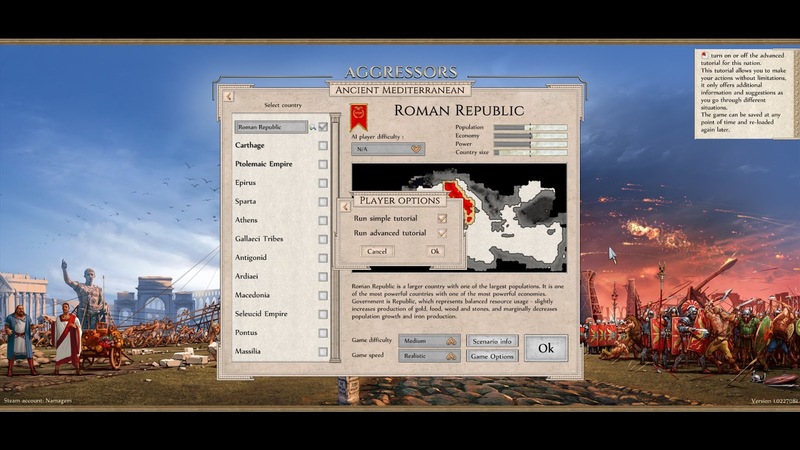 Aggressors Ancient Rome is another 4X(EXplore, EXpand, EXploit, EXterminate) type game. So, the first question is why did anyone bother to make another one? We have been inundated with 4X games from AAA ones to small indie games. To be honest, the genre rarely grabs my attention. Most are just poor facsimiles of the newest Civ game at the time. Pick your numeral from I-VI. History is usually only given lip service with the addition of a historical leaders name. I am very pleased to tell you that this game is mostly none of the above. It does have some mechanics from some of its well done predecessors, but doesn't fall into the pitfalls of the worst ones. "A mix of deep gameplay and rich historical flavor, Aggressors lets you relive history as the ruler of one of the mighty civilizations of the Mediterranean world. 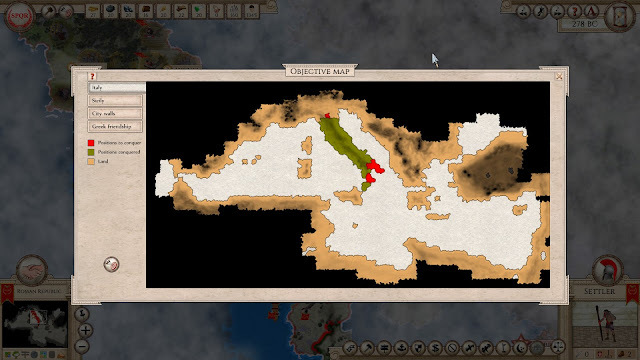 Will you bring glory to Rome and conquer the Mare Nostrum? 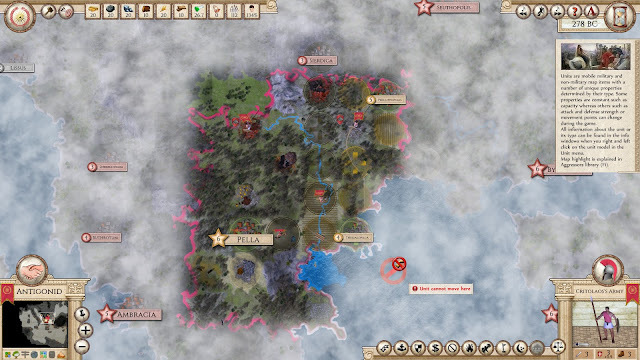 Will you build an immortal trading empire with Carthage? Will you bring the light of Athens to the world? Or maybe you will restore the rule of the Pharaoh? Choose one of twenty available factions and conquer the world. Aggressors is very easy to learn thanks to the extremely clear tutorial and tool tips. Dive in the game gradually and explore all the options available to you." When using the historical start, each nation is presented with the situation it was dealing with at the time. There has been no cookie cutter used to make the different civilizations. Playing each one does feel different than playing another one. For those of you who want a random game, the game can be set up to play that way with random maps etc. The developers, Kubat Software, stress that the game is meant to be incredibly mod friendly. When playing a random map, the civilizations do not start with a city; this type of game will make a regular 4X player feel more at home. You will have to work from the bottom up in your civilization. My kudos to Kubat Software for their very well done tutorials. 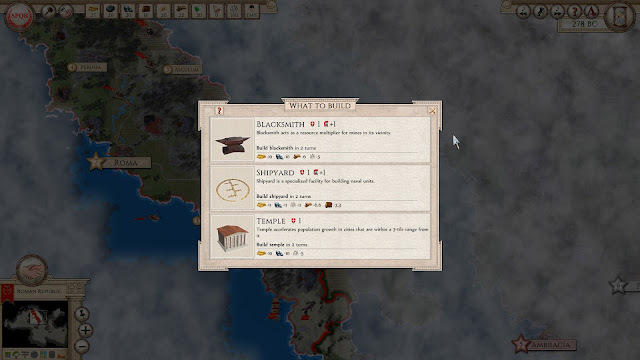 There is both a basic and advanced tutorial for three civilizations: Rome, Carthage, and Ptolemaic Egypt. Most tutorials in games seem to be slapped together at the end, if they are present at all. The ones in Aggressors take the player by the hand through the game. So does the game hit the sweet spot or leave a nasty taste in your mouth? Aggressors is definitely a game I am glad was produced. The game is much deeper and more complex than others in the genre. 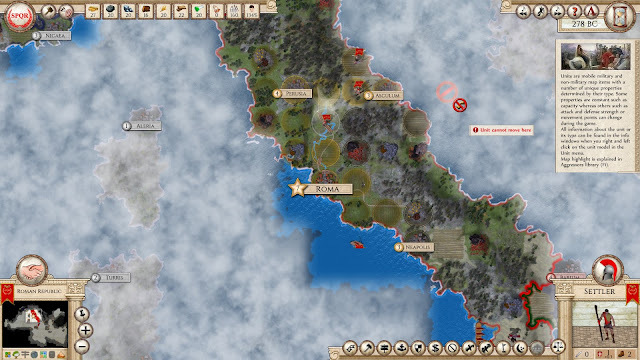 Playing it feels like you are leading Rome or the Antigonids to the preeminent position in the Mediterranean. You do not get the feeling that you are playing civilization B of A,B,C,D,E. The attention to detail, and even more important to historical detail, is evident while playing. 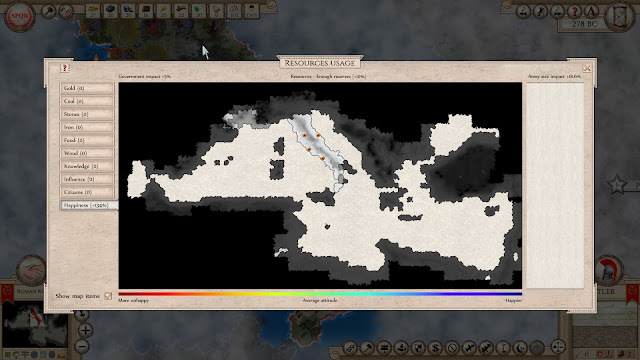 I will add that being a historical gamer, the random start leaves me completely flat. I am not interested in that type of game at all. However, there is certainly enough in the historical setup to keep me happy for quite a while. There is one item that struck me the minute I started the game, so I do want to mention it. The Antigonids start in what is actually Macedonia. This is about right for the time or close to it. However, the Macedon player actually starts in Thrace. Absolutely loving the age as I do, my head went a-tilt. The devs at Kubat have explained how they had to deal with the actual Antigonids. 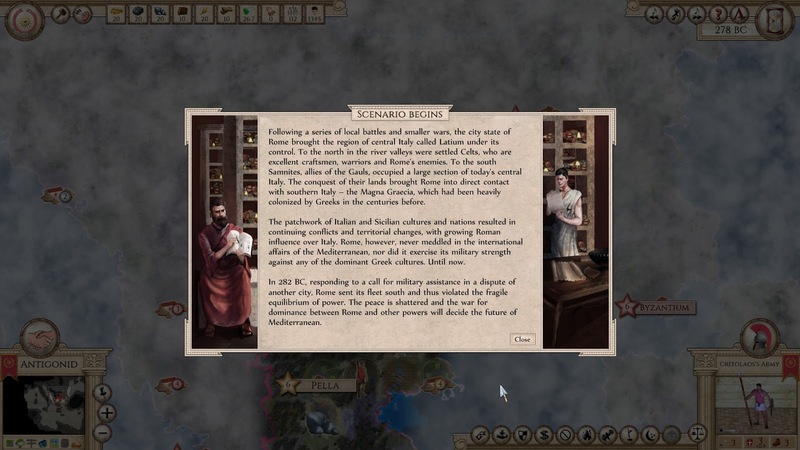 At the time of the start of the game, they also had to deal with the fact that Ptolemy Keraunos was king in Macedon (soon to be killed by the Galations). I will accept their slight adjustment of history for gaming sake. There is one other thing I wanted to point out. 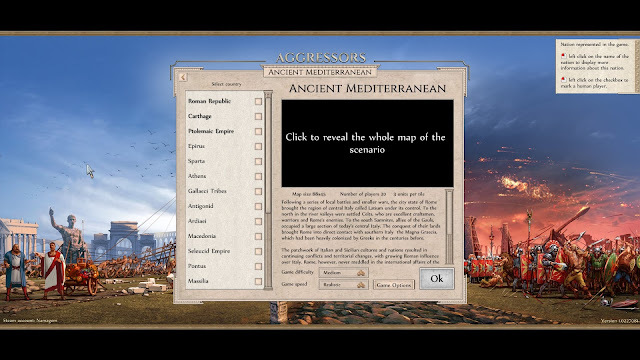 This is one of the best posts I have ever seen a developer make; it is in the Slitherine Aggressors forum: "(DEVELOPER CALL) Do you want to help us with new scenarios?" This is the way to support your game.